Accepting Credit Card Payments: Is It Worth the Processing Fee? As a business owner, you might be reluctant to start accepting paperless payments from customers. 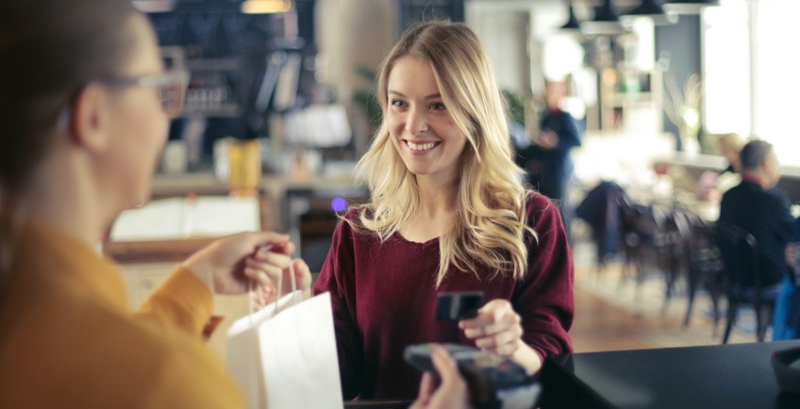 After all, aside from purchasing terminals that facilitate physical credit cards, the credit card company will bill you for every purchase made using this method, which leads you to believe that it will substantially reduce your profit. However, let’s take a look at a scenario from an arbitrary consumer’s perspective. Imagine you’re in the mall. You walk past your favorite clothes store and notice that they’re having big sale on most of their items until today. However, the store is packed with customers and you decide it’s not worth the trouble. You go home, feeling a little disappointed, but reassure yourself that it’s better to save. Before going to bed, you decide to open up your phone. The official page of the store shows up on your news feed and alas — it says the sale lasts until midnight! Without further ado, you purchase a bunch of merchandise using your credit card and fall asleep, satisfied with your last-minute purchase. In that scenario, the customer wouldn’t have made the purchase if that store didn’t accept online payments. The convenience of being able to make the purchase in the comfort of their homes and the availability of the discount to online transactions is what encouraged the consumer to go through with the purchase. That is the power of cashless payment methods, such as credit cards, and is one of the biggest reasons why businesses everywhere are opting to accept online payment methods despite the substantial recurring processing fees. It’s as if the store is always open for countless customers, providing an efficient and convenient way to purchase items from anywhere. This kind of premise circumvents the limitations of the physical store and invites even more customers with purchasing power. And the credit card processing fees are worth the investment — whatever charges are incurred by processing each credit card transaction are far less significant than the additional revenue. In order to help you decide, here are the advantages and drawbacks of accepting credit card payments in your business. Fewer people nowadays carry cash; many shoppers prefer to transact using their credit cards because of how quick and convenient it is. Accepting credit card payments offers your customers additional convenient options of payment, which gives you an edge over your competitors. Credit card payments are automatically transferred to your bank accounts, saving you time that would otherwise be spent depositing cash and checks at the bank. People with credit cards generally have the tendency to spend more, because spending virtual cash feels less impactful on budget plans than spending actual cash. Newer payment options, such as Shopify offer incentives for availing their services, as well as other useful features such as inventory tracking and creating gift card promotions. There are different credit card payment options available to suit the needs of your business, from terminals able to read physical cards to online payment gateways such as PayPal. It’s just a matter of selecting which service options and provider is the most applicable to your business operations. Depending on your service provider, you will be charged either a percentage-based fee or a flat transaction fee for every purchase, reducing the revenue per item sold. The payment services can also be subjected to other processing fees such as setup fees, transfer fees, monthly minimum fees, and compliance fees. Online payment gateways may also charge you whenever you transfer your balance to your bank account. 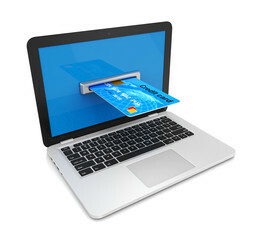 Payments made via credit card take a few days before they are reflected on your bank account. This can be problematic for businesses that rely on immediate cash transfers. 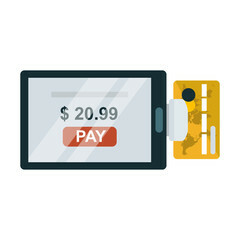 Parts of the world are shifting toward cashless payments. In fact, India is taking steps towards cashless revolution and growth. As technology progresses, people are growing more accustomed to alternative methods of transferring money. Failure to get on board with this growing practice will cause your business to lose out on a large number of potential online customers. Don’t forget to conduct ample research on your consumer base before expanding your payment options.